The BJP and its sister group, the paramilitary RSS, could accelerate sectarian divisions and, perhaps, worsen the conflict with Pakistan. 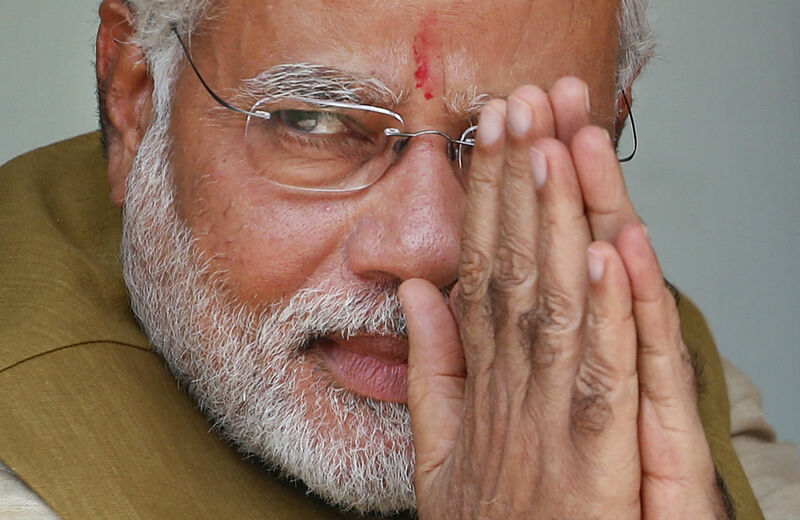 Who is Narendra Modi, and why should we be afraid? Not only would worsening ties between India and Pakistan threaten to revive those two countries’ proxy war in Afghanistan, but if they lead to tensions in Kashmir (beyond the long-simmering crisis that plagues that divided region), then they could even threaten to spark a war between New Delhi and Islamabad—and both countries are nuclear-armed. And Modi’s involvement in horrific sectarian, anti-Muslim riots in the state of Gujarat signal that Modi may not be welcomed by India’s vast Muslim minority. There’s also a danger that the United States, where some neoconservatives and other hawks see India as a counterweight to China, might seek to build military ties with the new BJP government as part of Washington’s “pivot” toward Asia. The BJP is the political heir of the 1970s-era Janata party, which ruled India for a few years under Morarji Desai. Aside from, and parallel to, the role of the BJP and Modi in sectarian strife putting Hindus against Muslims in India, the BJP and its allied organization, the Rashtriya Swayamsevak Sangh, have forces within them that believe that India under the Congress party and the Gandhis has lost sight of India’s glorious role as defender of Hindu interests. The RSS—whose name translates as “National Volunteer Organization”—is a right-wing, paramilitary group founded in 1925, which has long been involved in anti-Muslim violence and which has been banned several times in India’s history, including after one of its adherents assassinated Mahatma Gandhi in 1948. And though the leaders of the BJP have, lately, been careful to keep the RSS at arm’s length, the RSS jumped into the fray during the election with strong support for the BJP. Analysts say the reason Mr Modi remains unscathed is the strong support he enjoys among senior leaders in the right-wing Hindu organisation, the Rashtriya Swayamsevak Sangh (RSS). The RSS, founded in the 1920s with a clear objective to make India a Hindu nation, functions as an ideological fountainhead to a host of hardline Hindu groups—including Mr Modi’s BJP with which it has close ties. The RSS has a particularly strong base in Gujarat, and Mr Modi’s ties to it were seen as a strength the organisation could tap into when he joined the state unit of the BJP in the 1980s. Recently, a rising tide of Hindu nationalism in India has led to worrying developments, especially for Muslims and secularists, including the banning in India of a recent book by Wendy Doniger, The Hindus: An Alternative History. Indian journalists who’ve reported on the role of Modi, the BJP and the RSS in recent sectarian violence have been threatened. And critics have felt the violent wrath of BJP supporters. [It] offers an opportunity for the U.S. to shore up a central part of the relationship that has frayed over the last two years. An Indian government more focused on trade and investment would provide a welcome opening, and U.S. corporations are eager to get back to business. Washington can respond with convening long-delayed trade meetings, and championing Indian interest in deeper economic partnership throughout Asia, including a path to the Trans-Pacific Partnership and inclusion in the Asia-Pacific Economic Cooperation Forum. Mr. Modi’s status as an international pariah—cut off by the US and UK after the 2002 riots—came to an end in the last two years. He must now convince India’s Muslims—the country’s biggest minority community—and others that his Hindu nationalist party will not pursue an overtly majoritarian political and social ideology. He has reassured Muslims that they will be protected under his leadership, but some Hindu nationalist leaders reportedly made anti-Muslim speeches while campaigning for the election.